Even if you've never carried a knife with you every day, the Skyline just may convert you. Why? It's so lightweight, slim, and comfortable to carry that it takes away any excuse for not having the right answer when someone asks, "hey, has anybody got a knife?" With the Skyline, you'll always have the blade you need for everything from opening packages to slicing snacks. 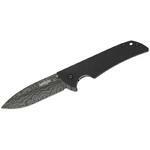 The deeply textured handle scales are G-10, barely add to the Skyline's weight, and provide for a secure grip. The handle design itself, with its deep index-finger contour, further enhances the Skyline's very secure grip. The Skyline opens manually with a built-in flipper. Just pull back on the flipper and add a slight wrist roll for quick and easy opening with left or right hand. A liner lock keeps the blade locked open for secure use. Flipper: May be used on either manual or assisted opening knives. The "flipper" is a protrusion on the back of the blade that the user can pull back on, or flip, in order to move the blade easily out of the handle. 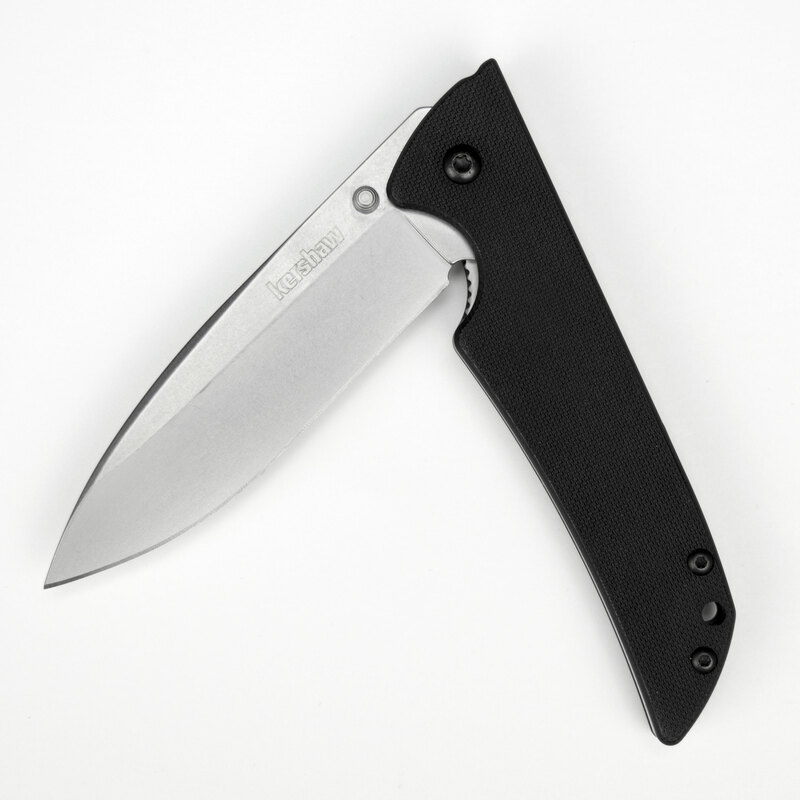 Manual: There is no mechanical assist, such as SpeedSafe, used to open the folding knife. It opens the classic, old-school way. This knife is a good EDC due to the light weight and then blade. Will be fine for light duty tasks, food prep. Blade came centered and the flipping action was a little stiff till it was broken in. Only thing that would improve is a deep pocket carry clip. I wish Kershaw would have done that and then you wouldn’t have to look for after market clips. Bought this primarily to use at work (I work as an AV installer).So far so good on this after using it for a couple of weeks.Nice sharp blade made with good steel.Well balanced and pocket sized. It's an OKAY model but.. This knife is nice, but not what I was expecting. It's a neat design, but blade size doesn't match the size of the handle. The handle should be bigger or the blade smaller, either or. The knife feels off balance too. It also doesn't have jimping on the spine or the flipper like it should. The G10 scales don't grab your hands as much as previous models they've made (PackRat, Turbulence). It's fair when it comes to opening it with the flipper. It can be done, but takes more effort than others I've held before. It is sharp and has a decent figure choil but, I was a bit disappointed when I purchased it. Truthfully I should have returned it and bought a different model. 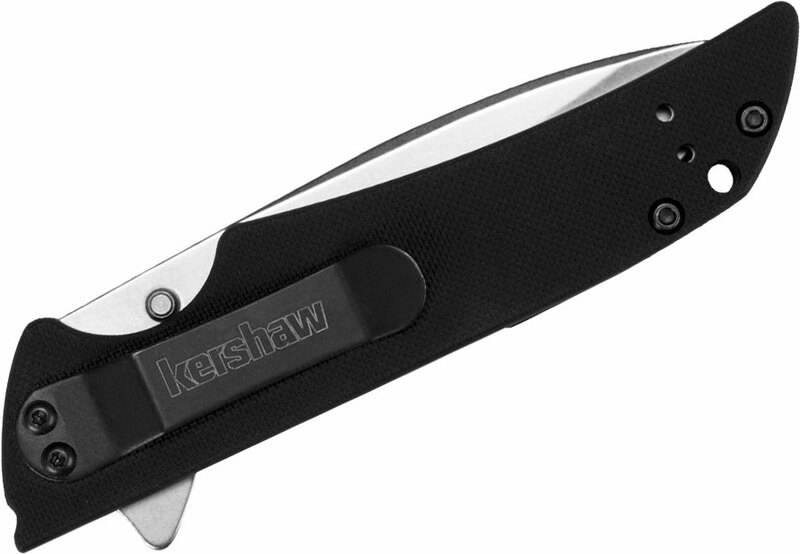 I consider myself a fair grader when rating knives; I'm a big Kershaw fan, but this really doesn't cut it. 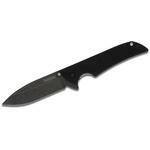 Hey, I wanted to share "Kershaw 1760 Skyline Flipper Knife 3-1/8 inch Plain Blade, G10 Handles" with you from KnifeCenter.